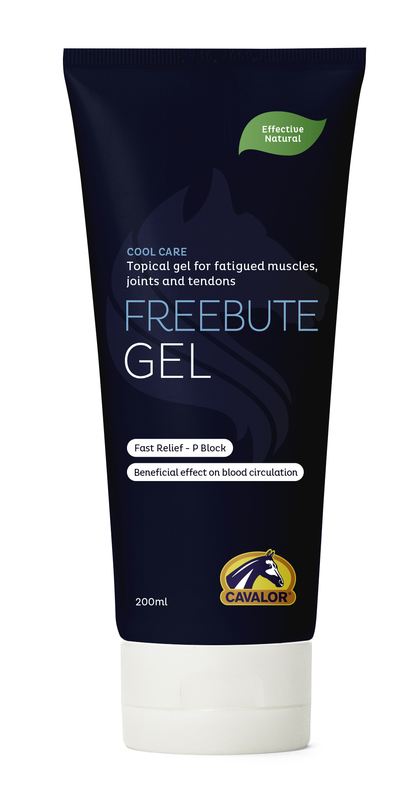 Cavalor FreeBute Gel is an intense gel, which may be used for painful joints, swollen legs and sensitive or overworked muscles and tendons. Providing quick relief, containing a unique blend of essential oils, it is also ideal for bruises. An external gel with a unique mixture of 8 essentials oils including Lavendar, Tea Tree & Eucalyptus. Cavalor FreeBute Gel is designed to penetrate the skin and deliver a deep and powerful action. Massage FreeBute gel daily after, or at least 1.5hrs before, riding to loosen or relax sensitive muscles. Apply twice daily for a faster recovery from sports injuries and bruises. Due to the high levels of essential oils in the gel, we recommend you do not use in direct sunlight or under the saddle pad or tendon boots during work, because those areas can become very hot.